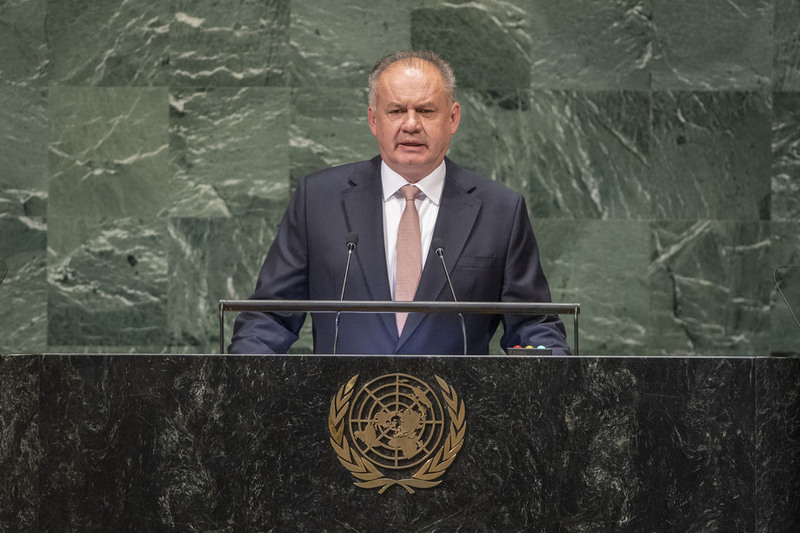 ANDREJ KISKA, President of Slovakia, said “we are more often driven by selfishness and short-term interests,” noting that globalization has created unprecedented wealth, but inequality is dividing the planet. Economic figures might be positive, but they hardly translate into improved well-being and dignity. Technology continues to be developed, but the distance and gap in understanding and empathy towards other cultures is still huge. Thanks to innovation, the world has never been smaller, but what happens thousands of kilometres away can turn into a global problem in a matter of minutes. In this situation, the United Nations plays an irreplaceable role. Expressing that rules and their enforcement must remain a backbone of the Organization, he said that today it seems that ignoring them is a sign of strength. The number of armed conflicts has increased, and civilian casualties have risen. Sovereignty is the DNA of stability, but the occupation of Georgia and Ukraine and the destabilization in the region are examples that the respect of rules is being replaced by power politics. Too often, thousands of civilians are massacred by their very own regimes. The world has become immune and has stopped counting the innocent lives in Syria, Yemen, Palestine, Myanmar and South Sudan. Agreeing that weapons of mass destruction are unacceptable, any use of chemical weapons must be an automatic trigger for resolute actions. Turning to issues of technology, he expressed concern about malicious activities in cyberspace, and manipulation in social media, that undermine democracy. Cyberspace knows no borders — and it is used to manipulate elections, influence decisions, and sneak into computers. It is as dangerous as any conventional threats. The price of inaction may soon be very high. Also of great concern, he said, was the increased attacks on journalists, attempts to eliminate the freedom of the press and growing restrictions on civil societies. Sadly, last year dozens of journalists were killed. Hundreds have been imprisoned and thousands oppressed. “The climate of hate continues to spread, portraying them as enemies of the State, as the enemies of nation or faith. But they play a key role in our mission for a better world, and as such they must be protected,” he said.